Hey, remember a year ago when I was pregnant with twins and so sick that I could barely read anything except Agatha Christie, and then I picked up Nancy Bilyeau’s debut novel and I read it like I wasn’t even sick? And then even though I read it in January it was still in my brain enough that I included it in my ‘Best of’ list for 2012? Yeah, so, her The Chalice lives up to the promise of its older sibling, The Crown. This year when it came time to read The Chalice I was in the middle of a work-induced reading slump and then I started it and read the whole 500 or so pages in 24 hours. 24! 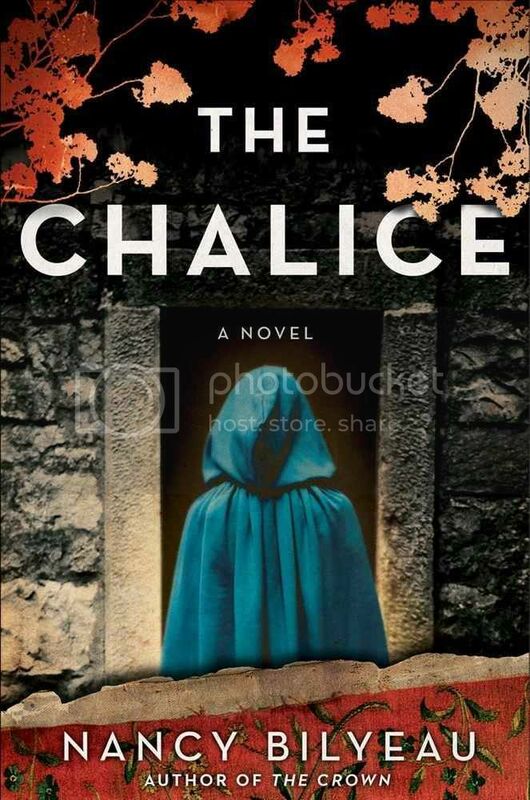 The Chalice has great pace with characters that are just as engaging as they were in The Crown. I love that Bilyeau has found somewhere new to go with the Tudor time period and I just love the way she writes historical thrillers, combining flawlessly the best parts of both genres. If you like history, pick up Bilyeau’s The Crown and have The Chalice erady to go to follow it up. In 1538, England’s bloody power struggle between crown and cross threatens to tear the country apart. Novice Joanna Stafford has tasted the wrath of the royal court, discovered what lies within the king’s torture rooms, and escaped death at the hands of those desperate to possess the power of an ancient relic. Even with all she has experienced, the quiet life is not for Joanna. Despite the possibilities of arrest and imprisonment, she becomes caught up in a shadowy international plot targeting Henry VIII himself. As the power plays turn vicious, Joanna realizes her role is more critical than she’d ever imagined. She must choose between those she loves most and assuming her part in a prophecy foretold by three seers. Repelled by violence, Joanna seizes a future with a man who loves her. But no matter how hard she tries, she cannot escape the spreading darkness of her destiny. To learn the final, sinister piece of the prophecy, she flees across Europe with a corrupt spy sent by Spain. As she completes the puzzle in the dungeon of a twelfth-century Belgian fortress, Joanna realizes the life of Henry VIII as well as the future of Christendom are in her hands—hands that must someday hold the chalice that lies at the center of these deadly prophecies. . . . Yes, pulling it out of the courts and into the monasteries definitely gives it a unique perspective. I am looking forward to this one! Its on my shelf but not for long! I liked the Crown so much. Looking forward to this one. I liked The Chalice too, even though I didn’t read The Crown. I found Joanna’s character quite relatable/admirable. I’ve never even heard of these books, but how can I not be intrigued with a vomit-repelling endorsement? Loved The Crown, too. I agree this is an underserved area of historical fiction (if stretching reality?) Will check this out! I’ll have to borrow both books from my review partner, Sandra, who also loved the first book and will be reviewing The Chalice soon on our blog.